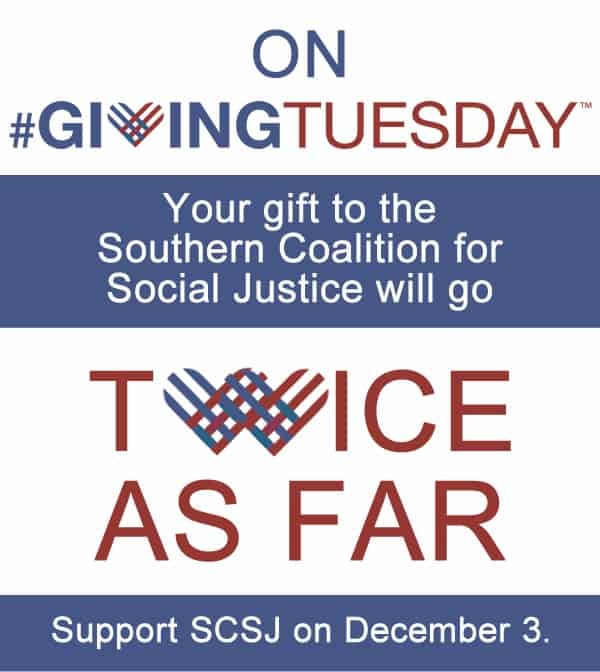 The Southern Coalition for Social Justice has joined #GivingTuesday, a first of its kind to transform how people think about, talk about and participate in the giving season. Coinciding with the Thanksgiving holiday and the kickoff of the holiday shopping season, #GivingTuesday (the Tuesday after Thanksgiving, this year 12/03/2013) will encourage people to give to charity during a season that has become eclipsed by “Black Friday” shopping. 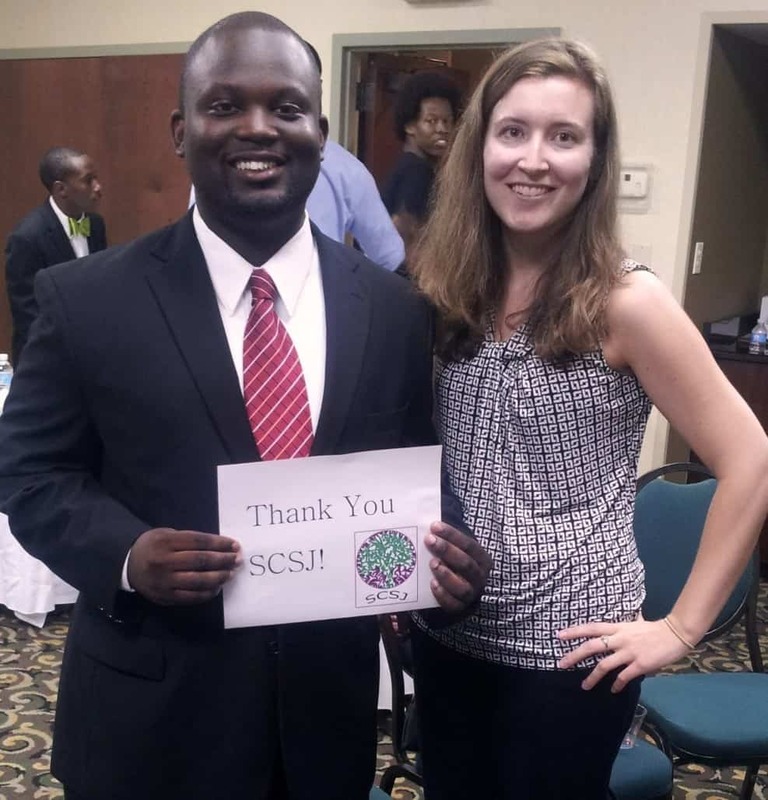 Willie Henderson is a former SCSJ client and longtime supporter. 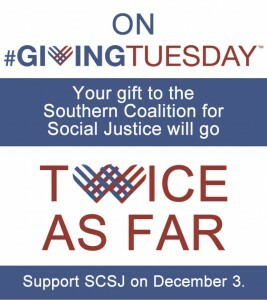 Thanks to Willie’s generous $6,000 matching grant, all donations made to SCSJ’s #GivingTuesday campaign will be doubled! This is especially important to SCSJ since we are a community-responsive, community-supported organization. Letting our donors have the chance to double their gifts to us helps all of us do better – as both donors and recipients. “#GivingTuesday reminds us that the spirit of the holiday season is about community and not just consumerism,” said SCSJ Board Chair Farad Ali. “The most meaningful gift we can give our children, loved ones, friends and neighbors is the commitment to work together to help build stronger communities – and that’s exactly what SCSJ does,” continued Ali. Those who are interested in joining SCSJ’s #GivingTuesday initiative can click here.Thanks to a generous matching gift, all donations made through SCSJ’s online #GivingTuesday campaign will be doubled! Your gift of $25 will provide $50 of essential support to SCSJ’s programs. SCSJ empowers the people and communities who change the world. On #GivingTuesday, your gift will go twice as far in helping us achieve that mission. Please visit today – all gifts received through this website will be doubled by our matching grant now through Friday, December 6. Previous Article: Social Justice Student Internships Abound!